Virgil van Dijk admits he was eager to play through the pain of his rib injury in Saturday’s draw with Chelsea at Stamford Bridge. The Dutchman emerged as a doubt heading into the contest having barely trained during the week and missed Liverpool’s League Cup defeat to the Blues on Wednesday. Concerns over his fitness stemmed from his withdrawal after 55 minutes of the recent win over Southampton, although it became clear it would take a lot more to sideline the defender for any sustained period of time. Liverpool’s record signing slotted straight back into the lineup at the weekend to produce another commanding display as his side extended their unbeaten start to the Premier League season. 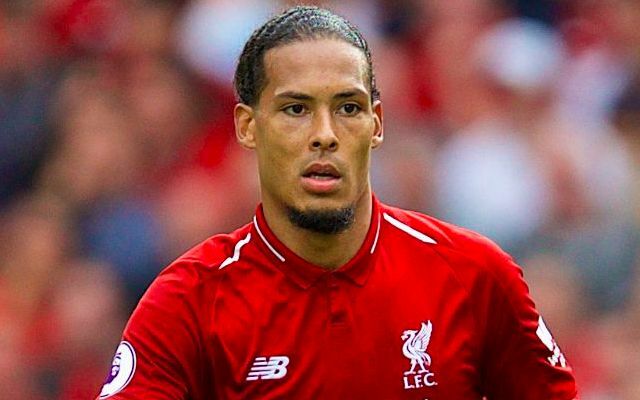 It needed only a look at the reaction to Van Dijk’s injury on social media to comprehend how instrumental he has grown to be in Jurgen Klopp’s side. Though it took a breathtaking strike from Daniel Sturridge to earn a well-deserved point against Chelsea, Liverpool’s lengthy pursuit of an equaliser may not have been possible without Van Dijk and the rest of his back line holding down the fort. Alongside Joe Gomez, the former Southampton man was an unflinching barrier in the face of the hosts’ aerial threat and their slick link-up play between the lines. The manner in which he imposed a steely authority on the game afforded his team’s misfiring attacking stars the freedom to continue bursting forward in numbers of search of a goal. On the odd occasion he was forced to break his nonchalance, Van Dijk was at hand to display blistering pace to deny Willian as he ran clean through on goal. It was a game that embodied the blend of athleticism, aggression and leadership that has seen him make a monumental impact since his arrival.